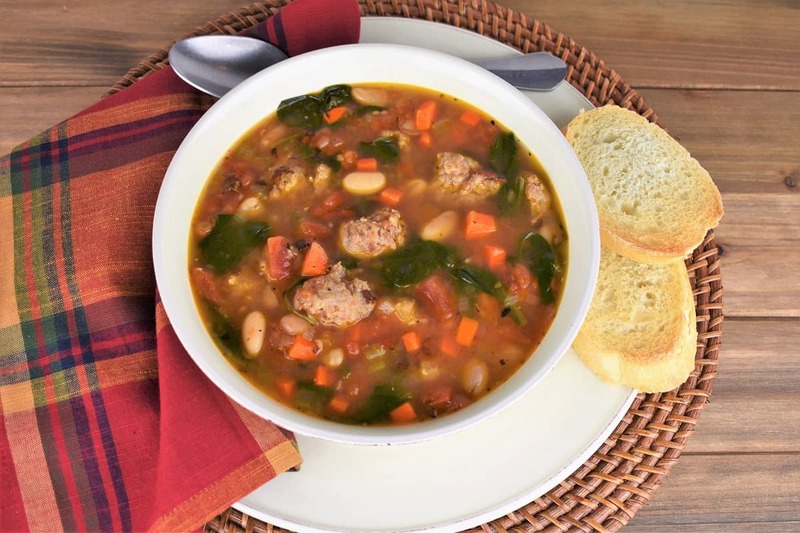 This sausage and white bean soup is loaded with vegetables, including onions, carrots, celery and spinach. 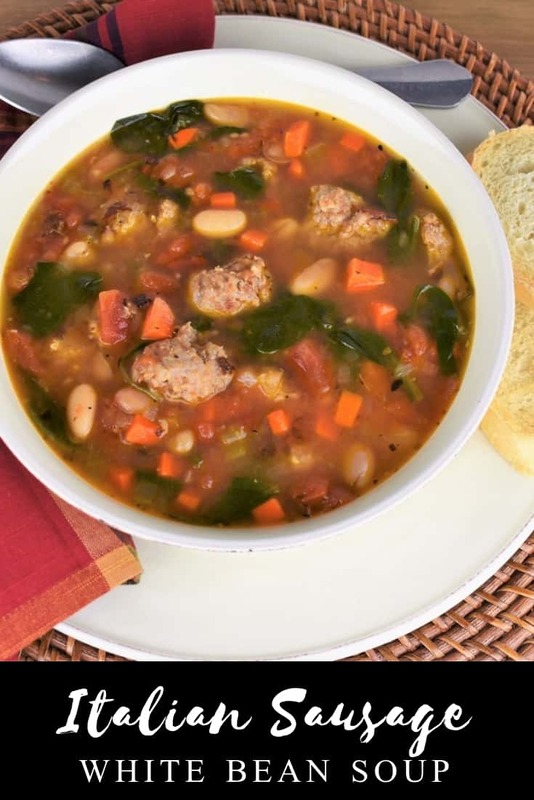 It gets a ton of flavor from Italian sausage, and creamy cannellini beans make this soup a meal! The prep work is really simple, and it doesn’t take a long cooking time to get a delicious, nourishing bowl of soup. 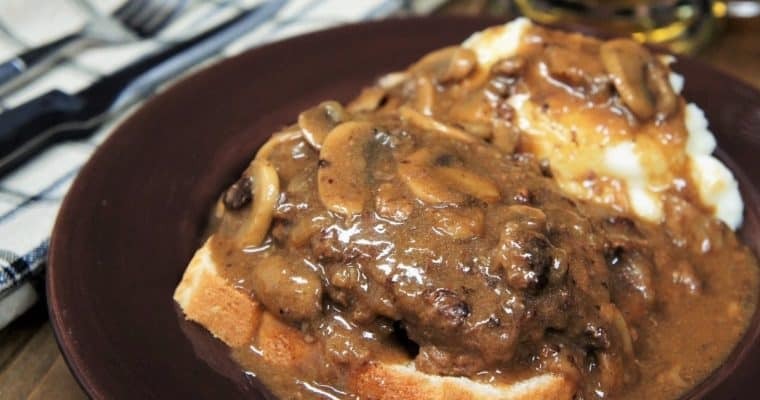 It’s perfect for weeknights, cold nights, well… any night. For more delicious, comforting soup recipes, check out this cream of chicken soup, or this fantastic navy bean soup. Enjoy! Remove the sausage from its casing and tear into small pieces, about 1 inch. Dice the onion, carrot and celery. They will all be going in at the same time, so keep them in the same bowl. Mince the garlic and measure out the rest of the ingredients. Heat the olive oil in a large pot over medium heat. When the oil is hot, but not smoking, add the sausage. Cook the sausage for 3-4 minutes until browned, while stirring frequently and breaking up any large pieces with a wooden spoon or spatula. Add the onions, carrots and celery to the pot and cook for 2-3 minutes, stirring frequently. Add the garlic and dried oregano to the pot; cook 1-2 minutes, stirring frequently. Add the diced tomatoes and stir well, while gently scraping any bits off the bottom of the pot. Add the chicken broth; stir well. Raise the heat to high and bring the broth to a boil, lower heat to medium-low and cover. Keep the soup at a simmer for 15-20 minutes to let all those delicious flavors meld together. Give the soup a stir occasionally and make sure it’s not boiling too vigorously. Add the cannellini beans to the soup; cover and continue cooking for 20 minutes. Add the spinach to the soup. Continue cooking until the spinach wilts, this will take just a few minutes. 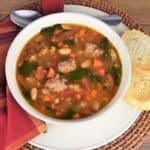 Taste the sausage and white bean soup and add salt if needed. When you’re making a dish with prepared/prepackage ingredients like, sausage, canned tomatoes, beans, broth, etc. wait until the dish is finished to add salt. At the very least, use salt sparingly until you’re able to taste it and decide if more is needed. With this soup, we didn’t need to add any at all. But salt, of course, is a matter of taste. Add the onions, carrots and celery to the pot and cook for 2-3 minutes, stirring frequently. Add the garlic and dried oregano to the pot; cook 1-2 minutes, stirring frequently. Add the diced tomatoes and stir well, while gently scraping any bits off the bottom of the pot. Add the chicken broth; stir well. Raise the heat to high and bring the broth to a boil, lower heat to medium-low and cover. 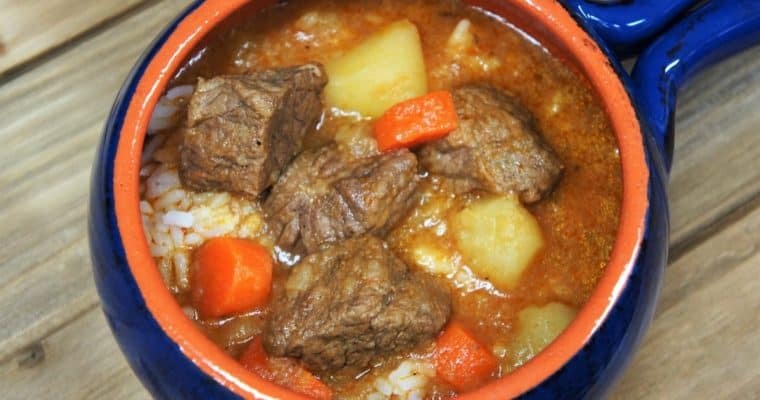 Keep the soup at a simmer for 15-20 minutes to let all those delicious flavors meld together. Give the soup a stir occasionally and make sure it’s not boiling too vigorously. Add the cannellini beans to the soup; cover and continue cooking for 20 minutes. Add the spinach to the soup. Continue cooking until the spinach wilts, this will take just a few minutes. When you’re making a dish with prepared/prepackage ingredients like, sausage, canned tomatoes, beans, broth, etc. wait until the dish is finished to add salt. At the very least, use salt sparingly until you’re able to taste it and decide if more is needed. With this soup, we didn’t need to add any at all. But salt, of course, is a matter of taste.